New Corner Building Unpainted at a Great Low Price!! !BACK IN STOCK! 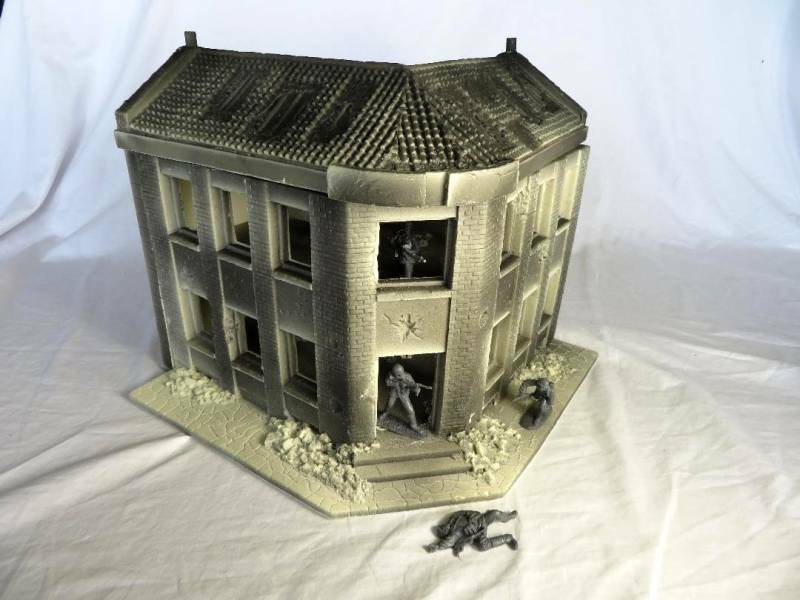 CTS7487B WWII Corner Street Building unpainted (some light assembly required) (12"H X 12 1/2 x12 1/2) Will work not only for WWII but also other time periods. 54mm. (figures not included). S&H $35.00 Shipping charges are based on the item going to the west coast. If shipping is less than the amount charged we will refund you the difference.